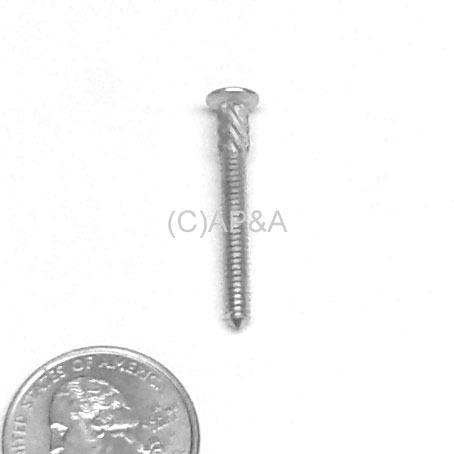 Twist shank screw used to mount parts like pop bumper coil brackets, speakers, etc., on many makes/models. Twist-shank screws are typically used on later-model games, but can be used as replacements on earlier-model games as well. Measures 1-1/2 inch overall length with #6-32 threads. Use with #6-32 nylock nuts to secure parts.